Over the last four years (really since Olivia was born in 2013), we have had the desire to own less, buy less, spend less and to live more. 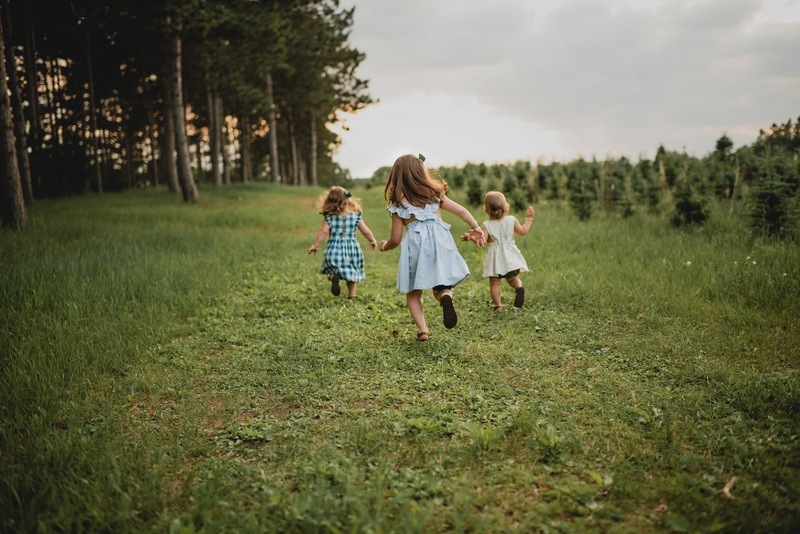 To have more space in our home -- not taken up by things -- but instead a place to move, play, dance, and make memories with our sweet daughters. To bring less into our home (so there is less to clean, less to organize and less to eventually get rid of...) and to instead focus on being together as a family, giving our children experiences rather than things and to live with less stress and more time. I love sharing about all the fun things we are doing as a family, products I am using & loving, and my favorite brands for modern motherhood. 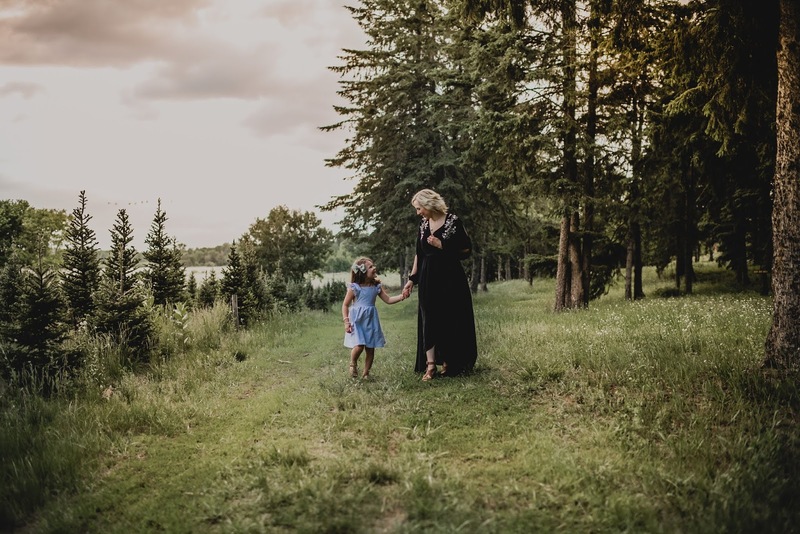 But tonight as I was tucking my girls in to bed, it was really on my heart to share more about living minimally and how it has so profoundly affected our quality of life and changed the way we live and raise our children. Simplifying in every area of life is a goal we are always striving for -- simplifying what we own, what we buy, what we bring in to our home, what we say "yes" to and what we take on in general, so that we can focus on what really matters. When I look at pictures of my family and my girls, what is captured in the photos are some of the most special moments of my entire life. They serve as a reminder that life isn't about what we own; it's about who we have, how we love, and what we do with the time we are given. We actually own less now than we ever have before (despite having 3 children), but what we do own is not only higher quality but much more treasured because there is less of it and it was brought into our home with incredible intention, thought + purpose. Not to mention the joy of living in a house I rarely have to clean or organize. I absolutely love the feeling of openness and the absence of clutter in our home. I can sit down at the end of the day (like I'm doing now as I type this) and look around and see wide open spaces in our home, with nothing left out and nothing to pick up. For us, living more minimally means achieving the freedom to live with purpose, surrounded only by what is most meaningful to us, not being suffocated by stuff that doesn't matter or that distracts us from actually living. It gives me so much peace of mind knowing that everything we own is purposeful. If you came to our home you would find that many of our closets, cupboards, drawers and shelves are empty rather than piled high or crammed with stuff we don't need or use anyway. We have a media stand in our basement with 7 drawers and only 3 of them have anything in them...one holds our 3 remotes, and two hold board and card games, and that's it. 4 are completely empty. It is that case in many areas of our home. Would you also believe me when I say I can fit the clothing that all three of our daughters own into a single 6-drawer dresser? No closets, no additional dressers or drawers, just a single dresser. For all 3 of them. That is what I am referring to when I say "minimal" -- an "absence of excess." And what I end up with is a wardrobe where every piece of clothing they have is incredibly special, cherished, passed down from sister to sister and holds rich memories. Doesn't that sound more appealing than clothing overflowing in every closet and drawer, 3/4 of which is never worn anyway?! At the end of the day I am never left picking up toys because we have very few of them and the girls have learned to put everything away when they're done, an easier chore to teach when there is less stuff to put away. Plus their creativity and imaginations are continually thriving. Olivia always tells me she loves being "neat and tidy" and between her and Penelope, our house is almost always spotless. I don't share this to brag or make anyone feel bad if your house isn't this way, it is just an example of the freedom and benefit that comes from living this way! 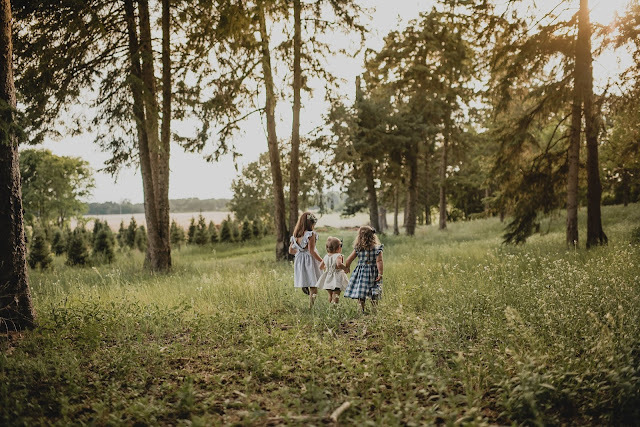 Every day I continue to find myself more and more fulfilled with my role as a Mom to the 3 little girls God has given us, and as a wife to my best friend and I am aware more now than ever that my fulfillment has nothing to do with our stuff. My longing for things and for a certain type of lifestyle has been completely stripped away over the past 5+ years as I have learned what truly matters and how this life is just a single breath in comparison to eternity. And how time is something that can't be purchased no matter who you are or how much money you have...and how much more time we are able to grab hold of and use when we remove the things from our life that aren't life-giving. Below are a handful articles I have come across over the past few years that really stuck with me and further confirmed our lifestyle shift toward living more simply. I hope they bring some inspiration if you are looking to do the same! I am always open to sharing more, so don't hesitate to reach out by email or DM on instagram @blessednestblog if you want to chat!